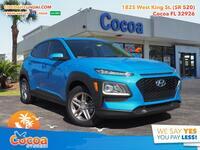 We’re extremely excited about the 2018 Hyundai Kona, our entry into the increasingly popular subcompact crossover segment. The subcompact crossover class is one of the most competitive on the market right now, as new entries crop up every year in line with its growth in popularity. We thought we’d try to show you why the Kona is superior to some of its competitors by first pitting the 2018 Hyundai Kona vs 2018 Kia Niro. The Kia Niro Hybrid is nearly as new as the Hyundai Kona, and it has been making just as many waves on the market. We’ve put together the table below to help show you the similarities and differences between them, but we’ll go through in detail. 2,890 lbs. Curb Weight 3,106 lbs. We first decided to take a look at power, which is also the first advantage that the 2018 Hyundai Kona has over its hybrid competitor. 8 horsepower isn’t a huge advantage, but when combined with the second row – which shows the Kona weighs 216 lbs. 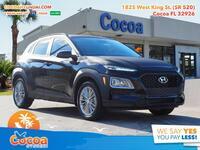 less than the 2018 Kia Niro – it would certainly be a noticeable advantage. Of course, considering the Kia Niro is a hybrid crossover, it’s no surprise that the third row belongs to the competition. The Niro achieves 50 miles per gallon, which is a whopping 20 mpg more than the Kona. 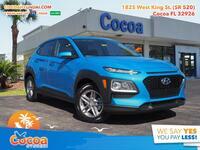 But what the Kona lacks in efficiency it makes up for in outstanding content both inside and out. 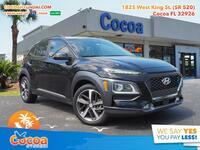 While it’s not depicted in the table above, the Hyundai Kona is packed with near-premium content that makes it enjoyable each and every time rubber hits pavement. The final row shows that both crossovers are 5-passenger vehicles. 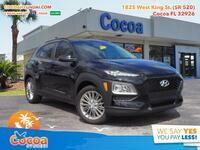 If you’d prefer the 2018 Hyundai Kona, be sure to get in touch with us right here at Cocoa Hyundai.